The German car manufacturer has confirmed that a new production model will break cover in a world premiere at the prestigious Pebble Beach Concours d'Elegance in California. 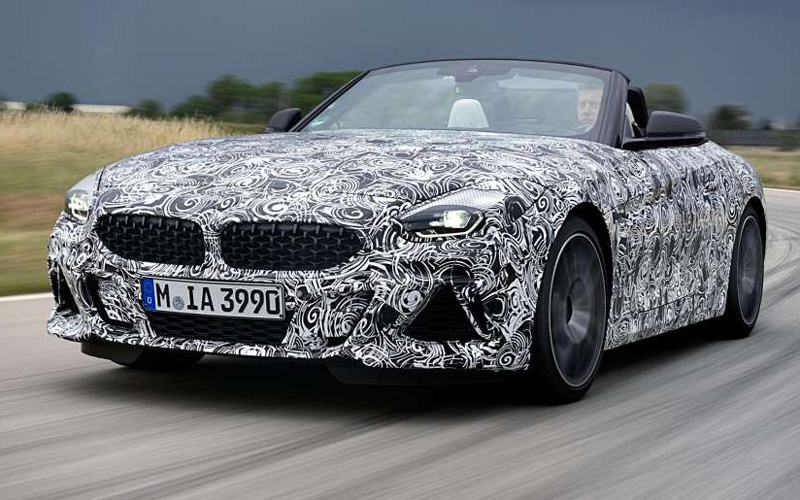 In June 2018, BMW released several images of a camouflaged Z4. This next-generation model promises to be a sporty and comfortable vehicle. From the outside, it’s likely to differ mainly from the current Z4 with its redesigned headlights. On the inside, it will get a digital instrument panel and the iDrive multimedia system on a large display. The powertrain remains unknown. [post_ads]This latest Z4 will share a platform with the new Toyota Supra, and several of its features have already been announced, such as an M braking system and lowered suspension with electronically controlled dampers. BMW is also expected to bring its new M850i — unveiled ahead of the 24 Hours of Le Mans — to Pebble Beach, as well as the Concept M8 Gran Coupé, unveiled at the Geneva Motor Show in March 2018. The latest BMW Z4 should also be making an appearance on the manufacturer’s stand at the upcoming Paris Motor Show, October 4-14, 2018, before going on sale Q1 2019.